For Gamers With Autism, Online Worlds a Cycle of Attraction and Fear | Game|Life | Wired.com. 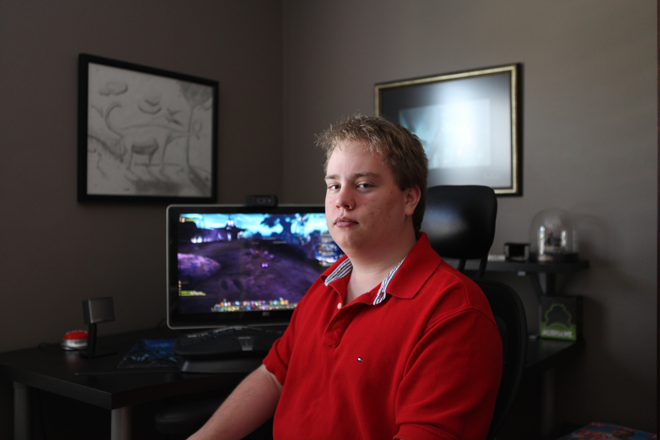 Ian Bates loves World of Warcraft , but like many with autism, he faces extra challenges inside its virtual world. You might think you know World of Warcraft , but you don’t know it the way Ian Bates does. “The predisposition of people with [Asperger’s] to develop restricted special interests may put them at greater risk for withdrawing from ‘real life’ in favor of playing the game,” says Chloe Jordan, a behavioral neuroscience specialist at Boston University. “A person with [Asperger’s] might be really good at figuring out how to best outfit his character by studying the statistics, strengths, and weaknesses behind different kinds of weapons and armor, since this involves understanding rules and manipulating a system,” says Jordan.